Another year has gone by and it's Christmas again in Honolulu! 82F outside. 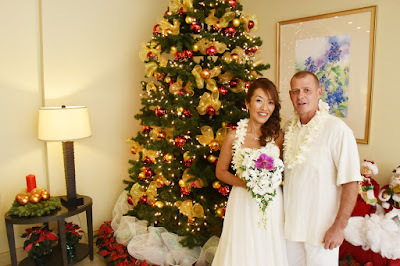 Gregg & Naoko in the hotel lobby at Aston Waikiki Beach Tower.